Does your company get a good return on all the time and money it invests in leadership development? Despite the millions spent on developing leaders, many employees — perhaps even most — are disengaged from their work and not giving it their best shot. That’s often the result of poor leadership. I see a big problem in the corporate mindset that is fixated on short-term profits. This can lead to managers not using the leadership skills and strategies they have learned on development programs. They think that their precious time should be invested in maximizing weekly or quarterly profits but I am wary of this short-term approach whilst ignoring issues influencing the quality of employees’ working lives — this eventually damages productivity and in doing so, reduces long-term profits. The quality of employees’ working lives has a direct impact on their well-being. Leadership behavior influences both. But it’s difficult for leaders to measure employee well-being with any kind of accuracy. Many also struggle to understand the connection between employee well-being and work performance. They don’t appreciate, for example, that requiring employees to work longer hours will leave them feeling tired and stressed out and end up reducing their effective working time. Marko Kesti, Adjunct Professor Lapland University of Applied Sciences, has developed a reliable new method of measuring employee productivity and the quality of their working lives. The Quality of Work Life (QWL) Index enables companies to show whether or not investment in leadership development, or other workplace improvements, is actually paying off. So how is the QWL Index is any different from other employee engagement surveys? Academic research has highlighted two fundamental problems with traditional employee satisfaction surveys. One is that these satisfaction surveys produce average satisfaction scores, instead of giving different weightings to the various factors affecting employee engagement and well-being. As a result, the data these surveys produce is not up to scratch. Secondly, most employee satisfaction surveys don’t tell you what you need to do to improve employee engagement and well-being, and thereby increase their productivity. The QWL approach avoids both problems. First, it builds on a sophisticated understanding of how different factors — leadership, for example, or the physical working environment — affect the quality of work life. Crucially, the QWL method also highlights development needs by bringing up the undercurrents that most other employee engagement surveys fail to detect. This information can then be used to guide workplace improvements. The QWL survey is also much shorter than most employee engagement surveys. Asking too many questions can be a waste of time; if you ask people to start answering more than 20 questions or so, most will lose concentration and start selecting responses automatically. Therefore, the QWL survey consists of just 15 questions that are deliberately quite general. I think that asking questions that are too precise can mean you missing some very important development needs, requiring different solutions in different parts of the organization. For example, asking how well managers take care of their workers is a very general question that can reveal how an individual team leader deals with particular issues. The same question might bring out different issues and development needs if asked of other teams. 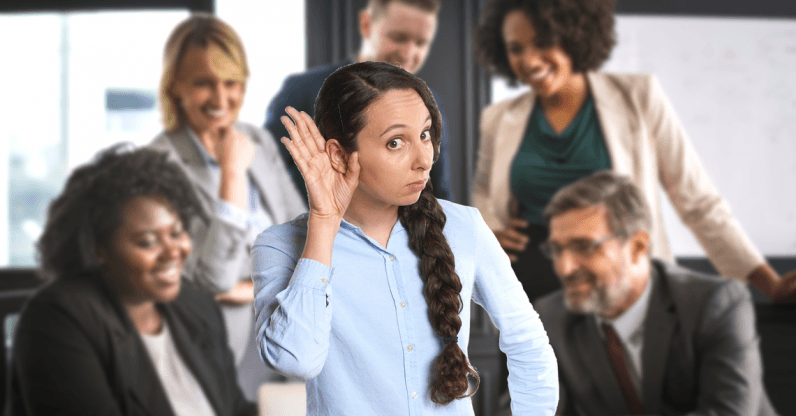 So if an employee engagement survey shows that leaders in one part of the organization need to develop their listening skills or emotional intelligence, for example, they might be sent on a training program to develop these capabilities. The next QWL employee engagement survey will then reveal whether or not they are using what they have learnt in the workplace. If they are, that will soon show up in improved company performance metrics. I am aware of recent studies that highlight why engagement is important and how it increases productivity. Where I believe the shortfall lies is that such studies don’t tell you if the engagement they measure is meaningful or not. Realistically, if any study shows that you have increased engagement according by say, 5 percentage points — then so what? Show me the money! That is surely what most senior executives will want to know — how much more money can the company make? In short, a survey such as the QWL can help to show whether or not your company’s investment in leadership development is paying off.